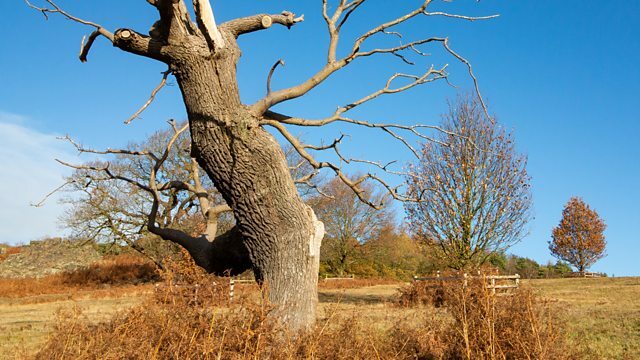 BBC Radio 4 - Open Country, Leicester’s hidden gem - Bradgate Park - bought for the locals, but where’s all the archive? Leicester’s hidden gem Bradgate Park was bought for the people of Leicestershire to enjoy 90 years ago, but where is all the archive? Helen Mark finds out. Just 5 miles from Leicester City Centre is Bradgate Park, 850 acres of natural landscape, an ancient deer park which was the home of Lady Jane Grey the nine day queen who was convicted of high treason and executed at the Tower of London. This year marks Bradgate’s 90th year and over the last 18 months local residents and photographers have been encouraged to take pictures of everything from the 600 deer to the wardens, the visitors and wildlife to start to create an archive. Because despite the rich history and significance of the landscape Peter Tyldesley, director of ‘Bradgate Park Trust’, a charity who runs the park discovered there was virtually no archive and quality images of the park. Taking up the challenge Helen Mark with help from Rob Doyle from the Leicester Photographic Society, gets tips on how to take a perfect image. Along the way she meets volunteer Joy Braker who has been visiting the park since she was a child and is now restoring a walled garden to get it back to how it would have looked in the days of Lady Jane Grey. Helen also meets Charles Bennion, whose great grandfather a local businessman bought the park in 1928 for the people of Leicestershire. Charles named after his great grandfather shows Helen the original deeds to the park and a family scrap book from the 1920’s. The day ends with local performer Andy Griffiths who has been inspired to write a song about Bradgate Park and Helen hoping that her Open Country image that she took at the start of the day might just be good enough to make it into Bradgate’s 90th Birthday archive. The producer is Peminder Khatkar.